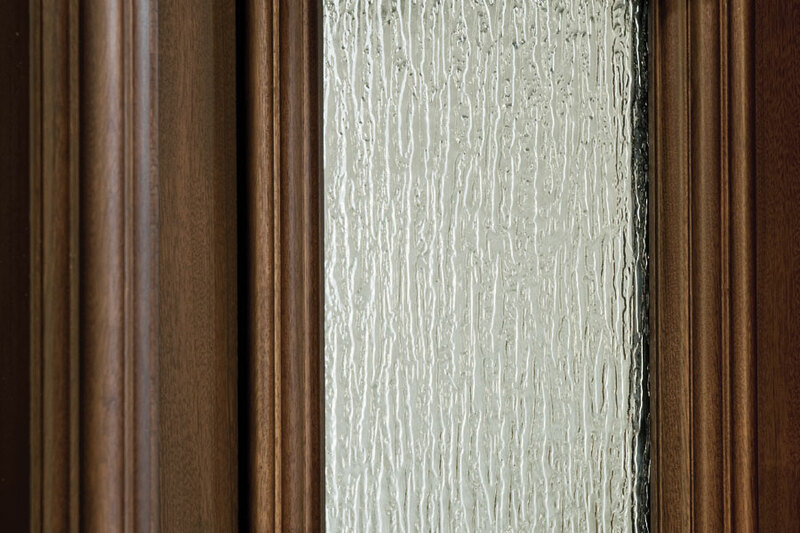 Nothing compliments a solid wood entry door like a beautiful glass design. 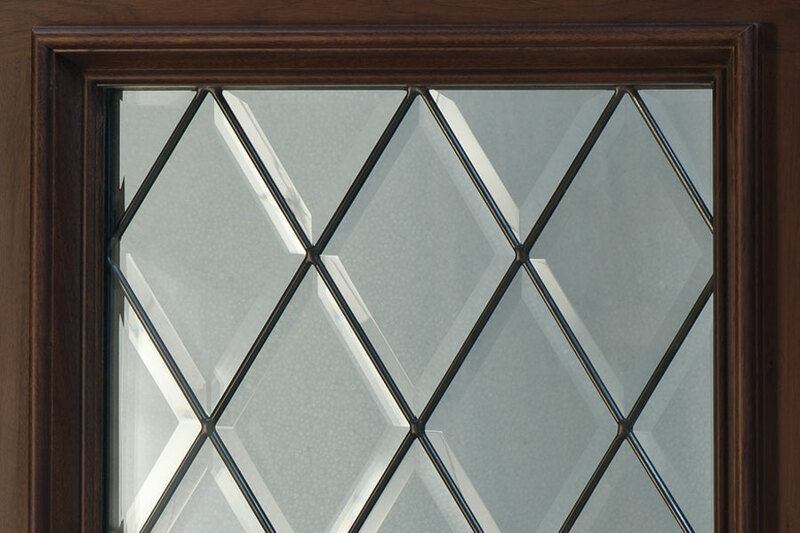 to accommodate the different looks and privacy options our clients expect. 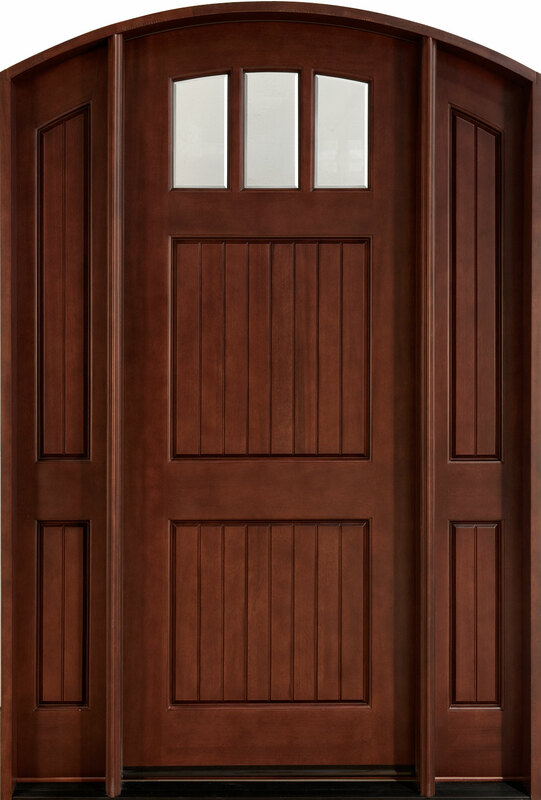 Semi-Custom Wood Doors can easily achieve a custom look by combining different options from our standard collection. 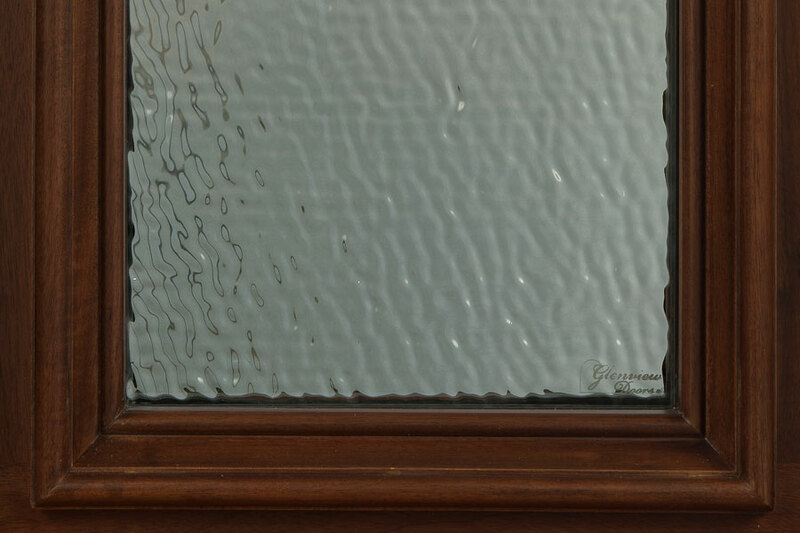 For example, you can change the look of a door from traditional to contemporary by choosing a different type of glass inset. 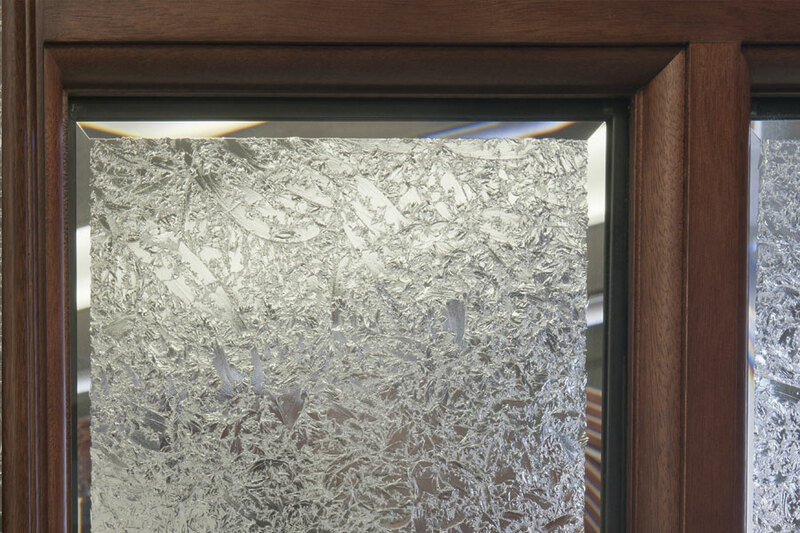 You can etch a name in glass or carve a company logo in wood. 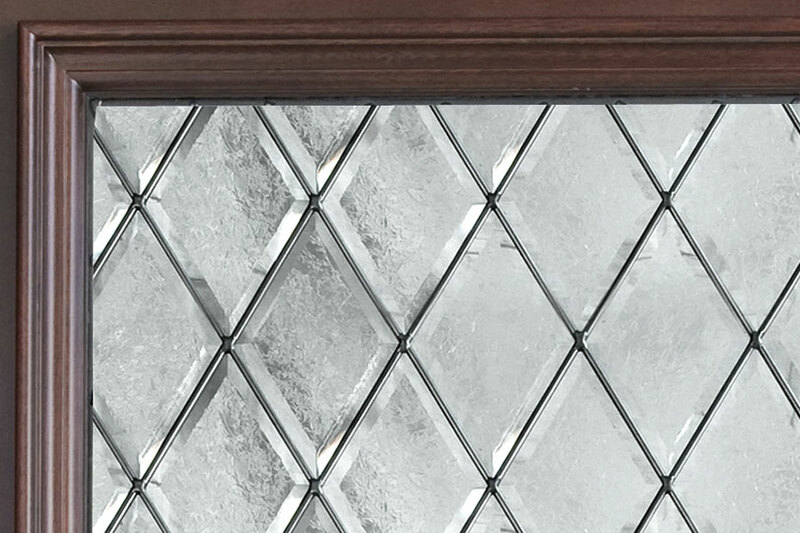 Often, one set of sidelights can have a wonderful look when used in a door from another collection. 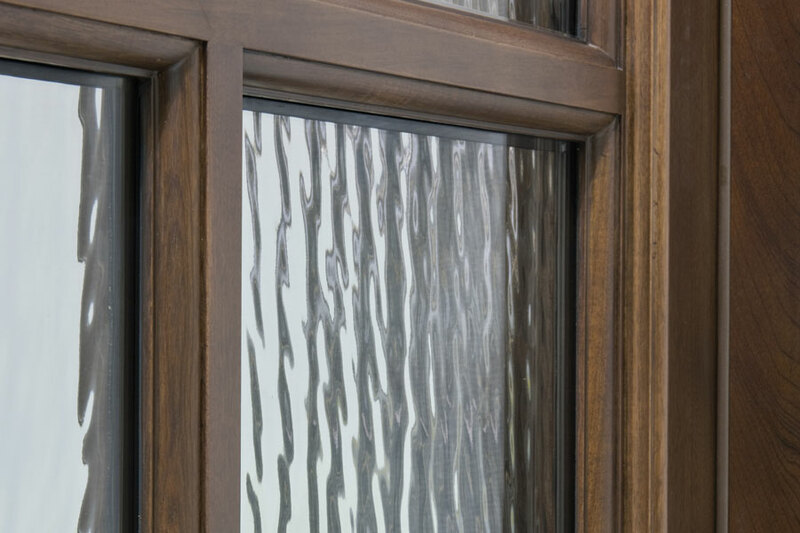 In a simple case, one of our standard doors can just be crafted according to non-standard dimensions or from a wood-type of your choice. 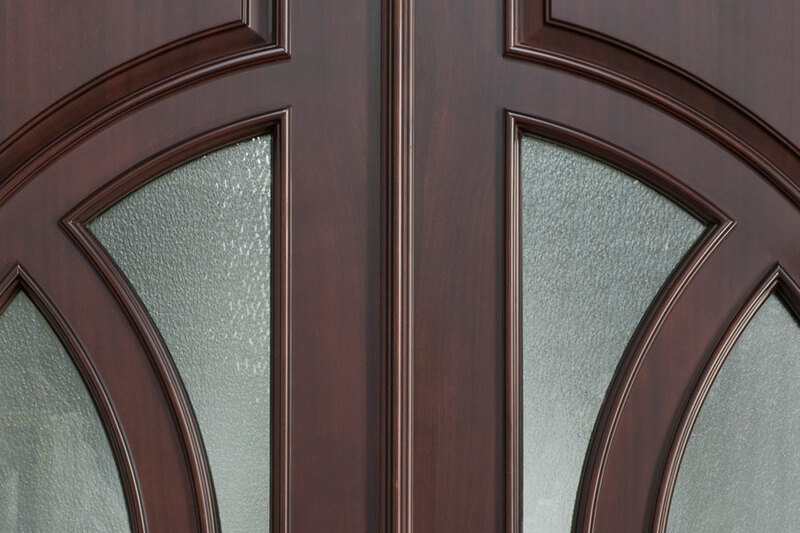 Custom Wood Entrance Doors are exactly that at Doors For Builders, “custom” by design and requirements. 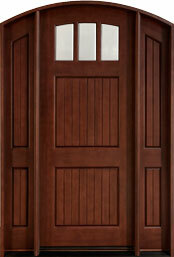 Generally, our custom wood doors are only limited by our client’s imagination, budget and/or schedule. 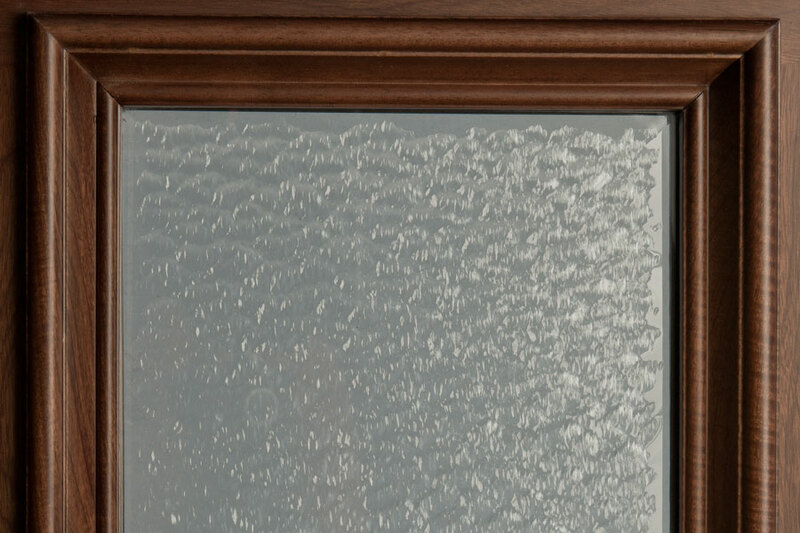 Our custom wood door process is simple, transparent and straightforward. 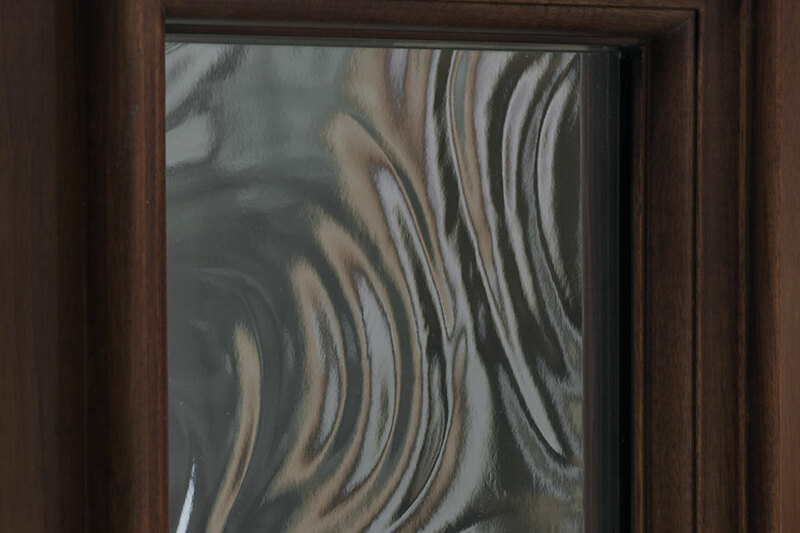 The Idea – A custom wood door all begins with the customer and an idea, a clipped photo from a magazine or a simple sketch on a piece of paper. The Basis - A phone call or email to our design representative is the next step. 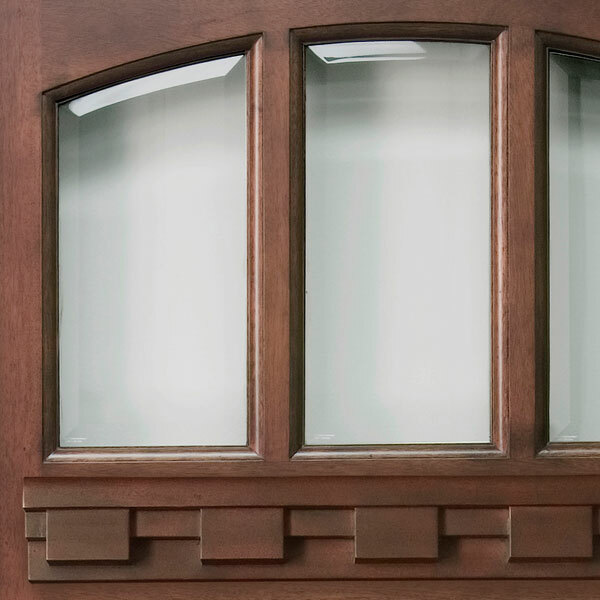 We will work with you to develop the basis for crafting your custom wood entry door. 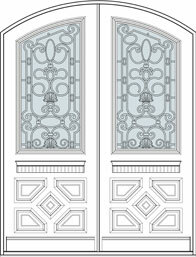 Details make the difference when creating your own door! 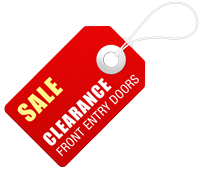 The Proposal – Doors For Builders then will issue a proposal to the customer. 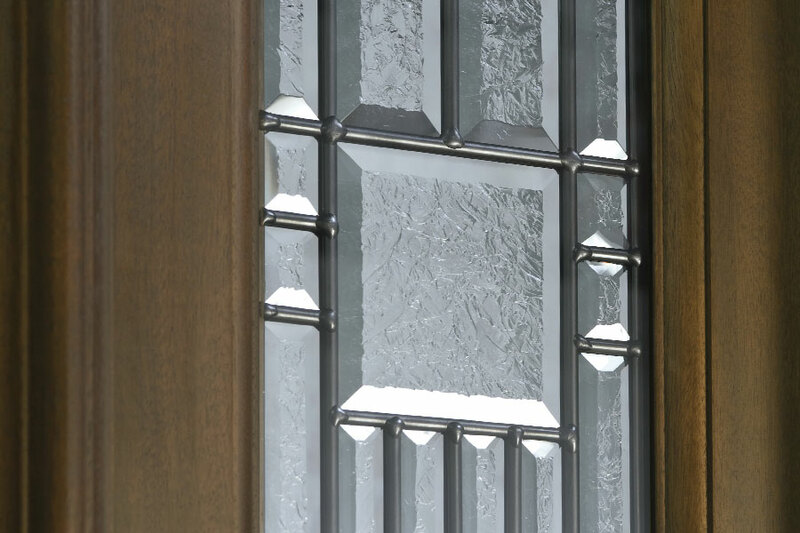 The proposal covers all the details for crafting the custom entry door. 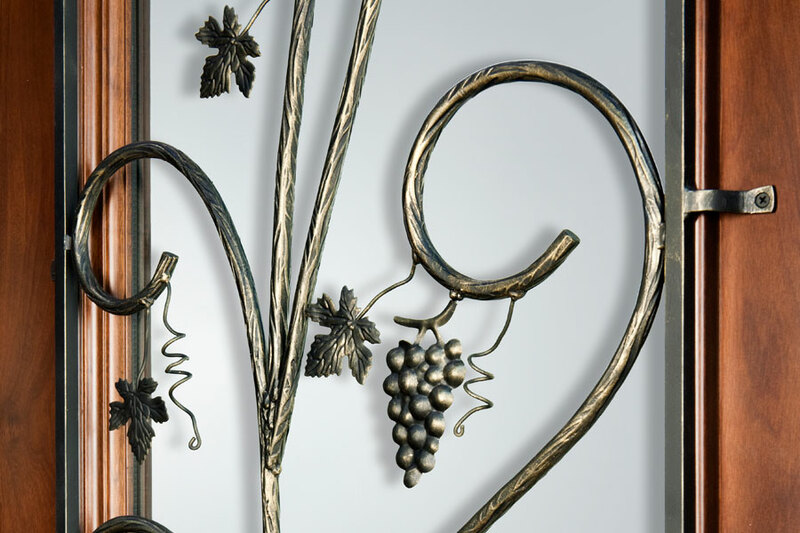 The proposal includes the design basis information, any graphics/pictures of the door, glass or carving work, pricing and payment terms, delivery schedule, warranty, cancellation policy and change order policy. 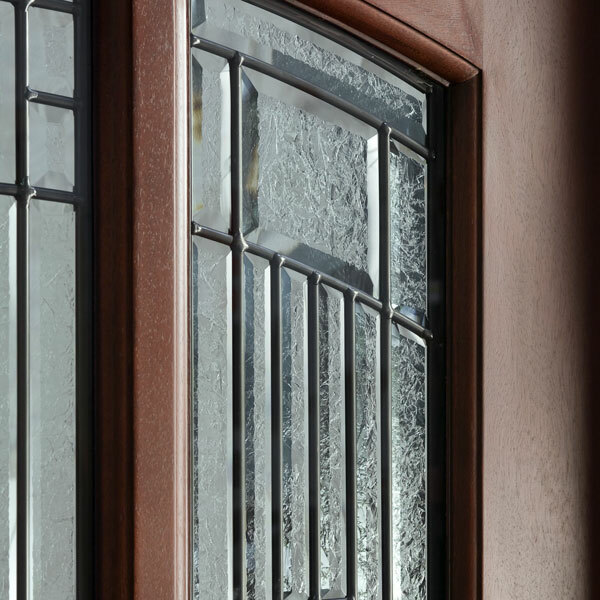 The Order – After the customer confirms and accepts the proposal, a purchase order is signed and delivered to Doors For Builders. 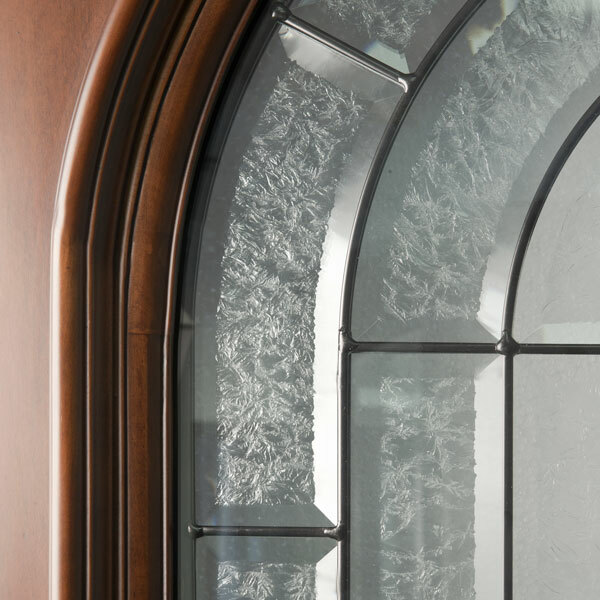 We take it from there until your custom door is delivered on-site. A custom unit crafted especially for you takes approximately 12 weeks. * The proposal serves as a final check and confirmation on the design basis, process and policies. Sometimes the proposal can go several iterations before a final version is settled upon.